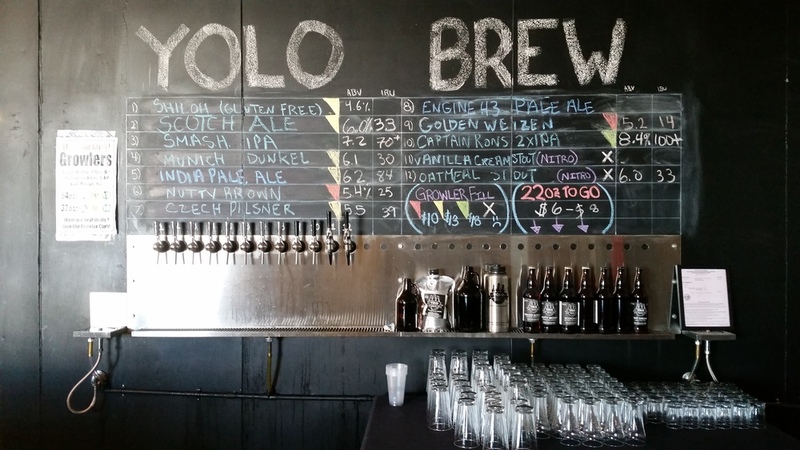 My jaunt across the river continues with a visit to Yolo Brewing Company. As it stands, I have only one West Sacramento brewery left to visit; Jackrabbit Brewing Company. Follow me as I Sample West Sacramento. Mid 2014 saw the opening of Yolo Brewing Company, which brought another brewery to West Sacramento and the regions only Personal Brewery. 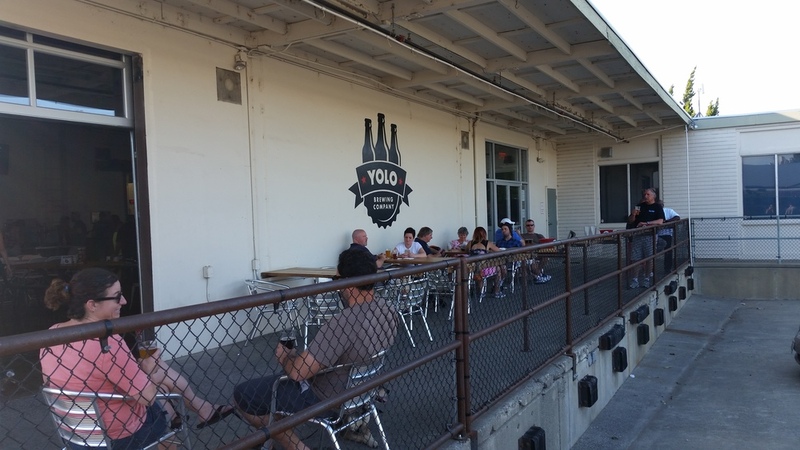 At Yolo Brewing one can brew up a batch of your own while sipping on Yolo’s brews. Yolo is located at 1520 Terminal Street, with Jackrabbit a few blocks down on Terminal and Bike Dog Brewing Company around the corner. They are open for beer consumption Wednesday through Sunday and for Personal Brewing on Fridays and Saturdays with limited availability on Thursdays and Sundays. One can find people relaxing on the beer dock or within the bright and open warehouse that contains the brewery and taproom. Along one wall you can see where a prospective brewer would choose his or her ingredients and along the other is the bottling area. The airy taproom is loaded with seating and has a spacious bar at the back of the space. 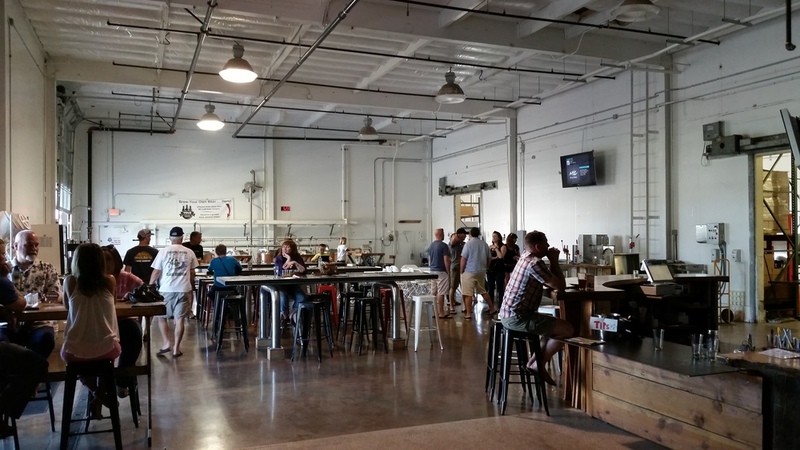 The family friendly brewery regularly hosts food trucks and occasionally live music. This was not my first visit to Yolo and I’m sure I’ll be back again. They had twelve beers on the board to choose from, which made selecting my flight a bit challenging. This is one type of challenge that I am always up to facing. 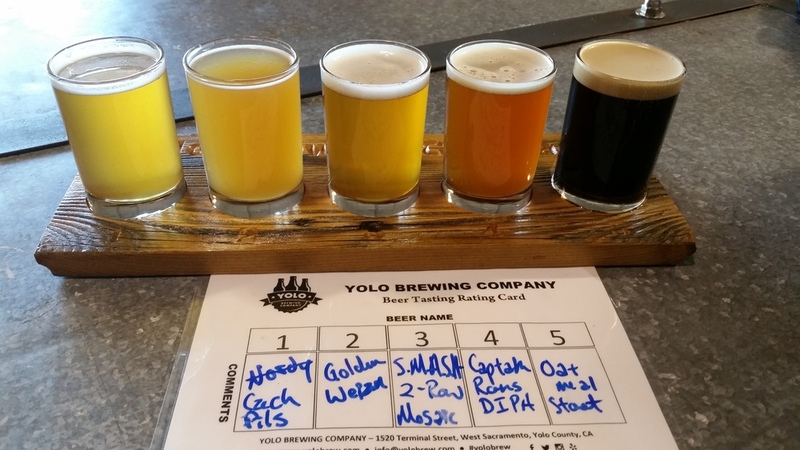 The sampler at Yolo is your choice of five pours. I made my selections and sat with the wife to sip and take my notes. Czech Pils – The light crackery malt sweetness is subtle beneath the spicy and floral hop character. A thin layer of white foam rests atop the cloudy, pale gold brew. The hop flavors are bold and reminiscent of grapefruit on the forefront and a lingering spice. Yolo’s Czech Pils has a light body and a slight carbonic bite. Golden Weizen – This brew has aromas of tangerine and subdued floral qualities. These mingle with mild bready malt sweetness. This is a murky, deep yellow with no head present in the sample glass. The soft bready malt character is balanced with tangerine and bubble gum flavors. This light bodied American styled Hefeweizen is smooth and very easy drinking but has little to no carbonation. S.M.A.S.H. 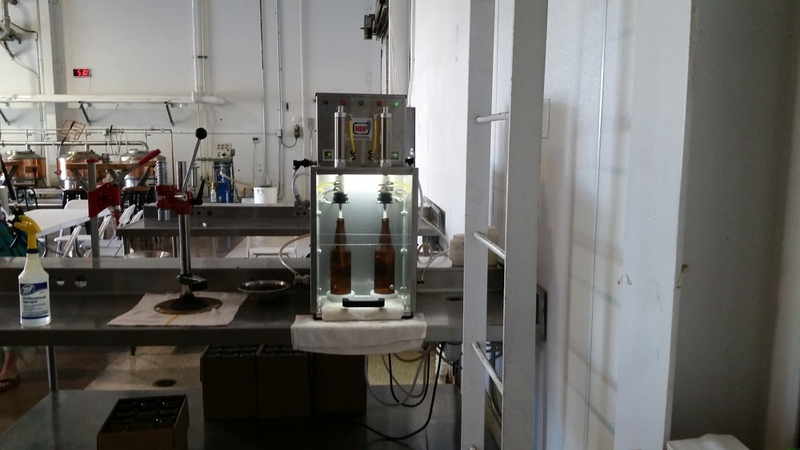 IPA – This Single Malt And Single Hop (S.M.A.S.H.) IPA was made with only Pale 2-row barley and Mosaic hops. This is a danky beer with notes of peach, pear and mild bready malt sweetness. The slightly hazy, light amber ale was capped with a thin sheet of off-white foam. The cannabis quality noted in the aroma is paired with grapefruit and a lingering pine that is set against the bready malt spine. This version of the S.M.A.S.H. IPA has a medium body, moderate carbonation and a dry finish. Captain Ron’s – This 2XIPA is a hop bomb, with an aroma that suggests lemon drops and apricot. Also noted in the nose is a strong malt backbone. The off-white foam is thick and formed of fine bubbles that cling to the glass. The flavor is redolent with resinous pine and citrus hop character that is supported by the sweet malt backbone. This brew is chest warming and has a medium body and a sweet finish. Oatmeal Stout – Served on nitro, this beer is reminiscent of breakfast with aromas of coffee and toast. These aromas are rounded off with chocolate and a mild earthy hop character. The opaque black ale is crowned with a beige head that lingers. The flavor follows the nose spot on. Its medium-full body combined with it being served on nitro made for quite a smooth beverage. Yolo is brewing up more than just craft beer. They are also brewing up a lifestyle. Craft beer isn’t just about the beverage, but a type of person who likes to know that what they are imbibing is local. And additionally, brewing your own batch can aid one in achieving a better understanding of craft beer. 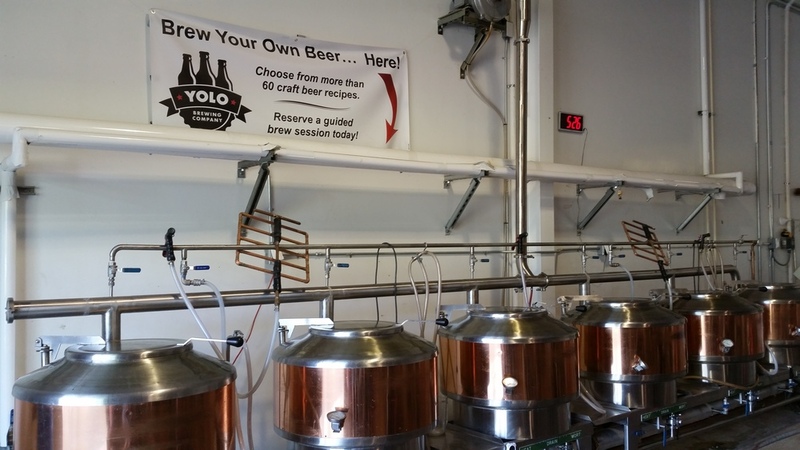 Come and try your hand at brewing and allow Yolo Brewing to be part of your craft beer lifestyle.